Can I trek Gokyo Lakes? The Gokyo lake trekking is a steady climb over 10-12 days. We hike about 5 hours a day with plenty of time to acclimate to altitude. Our team can support all levels of hikers, we work together to make sure everyone is safe and enjoys their trek. 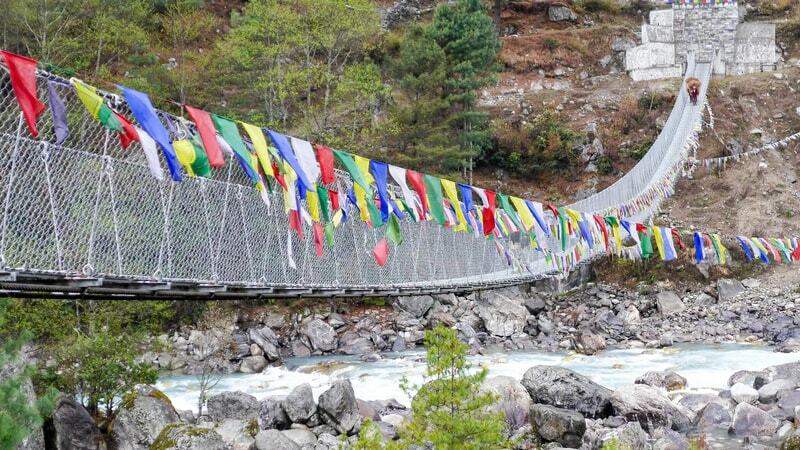 One can trek to explore the Annapurna base camp and other places at his or her own pace with adequate support from us. How much do we carry in our packs? We have porters who carry the majority of your gear. You will need a day pack to carry water, layers, camera and whatever else you would need throughout a hike. You need sturdy hiking boots that are broken in. Layers are important as temperatures can change throughout the day. We provide hiking poles, sleeping bags and heavy down coats if you do not have them. We will also supply you with a suggested packing list. 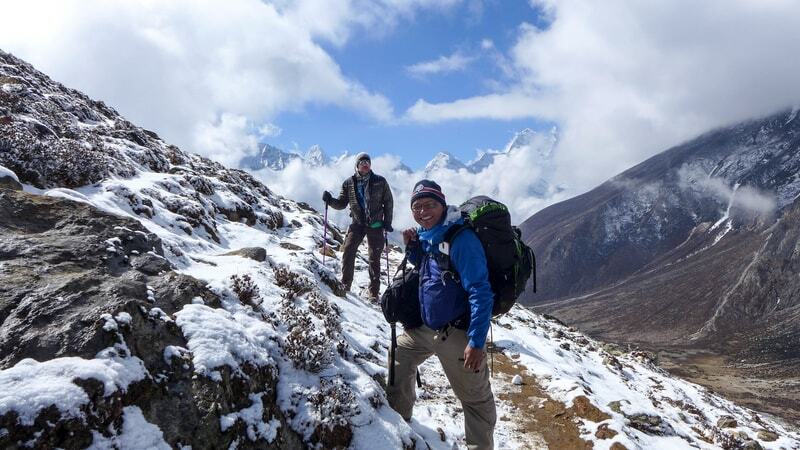 Our team consists of 2 porters per person and our guide, Tshering has been trekking the Himalayas as a part of the adventure travel in Nepal for over 30 years. We watch the group closely to make sure everyone is OK with the altitude and the day to day trekking. The tea houses to be found during the adventure trek in Nepal are mostly family run. Most are double/single rooms with twin beds and bathrooms. The tea houses in the lower altitudes even have electric blankets. As we get higher in altitude the tea houses become more like a dorm. Shared bathrooms and hot water bottles for your sleeping bags. All tea houses are clean, neat and have charging stations. The food on the trek is very plentiful and fresh. The meals focus on the fresh vegetables that are grown on the local Nepalese farms. You can buy wifi cards for the adventure trek in Nepal. Most tea houses have internet, although it can be spotty. If you have an open phone you can purchase a Nepalese sim card at the airport when you arrive. Do you need vaccines for Nepal? What about altitude meds? We recommend always checking with your physician before trekking in high altitudes. It’s important you are up to date with your routine vaccines. Hepatitis A and Typhoid are recommended for any adventure travel in Nepal, so please confirm with your personal physician and check with the CDC as guidelines can change. Regarding altitude, Diamox is the most common preventative medicine taken to mitigate symptoms of altitude sickness. Our Sherpas carry Dexamethasone, a steroid that treats inflammation, in the uncommon event that it is necessary. We recommend you get travel insurance that covers trekking up to 6000m/19,685ft. This should cover any expenses related to sickness or illness that you may get during the adventure trek in Nepal.